Morning announcements are a fundamental staple in every school across the country. If you ask school going students about them, many will tell you that morning announcements are also the most ritualized aspect of their school lives. They are obligatory and in most cases perfunctory. Teachers realize this on some level and do not give it much importance for the same reason. Small wonder that many of them have not sat down and considered what an extraordinary opportunity this little routine presents to get the students involved, interested in academics and extracurricular activities, infuse the hierarchy of the school structure with more community and free thought, and prepare the students for the life that awaits them once they graduate high school. You might be tempted to take this assertion with a pinch of salt. If you do, then read on and give us a chance to change your mind. Why do schools need morning announcements? At its most basic, morning announcements are a way of dispensing updates on ongoing activities, details of the upcoming ones, new regulations and other critical information to the staff and students. Most of the schools use a PA system from the 60s, a closed system television broadcast, emails or, in many cases, just put announcement sheets in teachers’ mailboxes to get the information across. They cannot be bothered to spend more time on it as their plate is already overflowing. It does not occur to them that they can hand the reins over to the students and turn it into a daily event that everyone looks forward to. It’s not just a morning announcement! First and foremost, these 15-20 minutes are a great way for your students to produce an entire show in a studio setup and engage with their seniors and peers. As a matter of fact, with a little investment and planning, you can turn this into your own daily news channel. All it takes is a few mics, cameras, lights, a green screen, and a willingness to let your students surprise you. To begin with, let us take a look at the kind of content that can go into a morning announcement and then find out how you can go about achieving it. The benefits will become obvious as we go on. With the rise of social media and smartphones, our attention spans have grown shorter. When was the last time you read something through fully instead of just scrolling through it? You cannot expect your studentsto be interested in what is being said if it is delivered in a dry, monotonous manner. They will just go back to browsing through their phones. As teachers, we are sure you realize that something is wrong when the kid stares down at his crotch and smiles during the morning announcements. To avoid this, you need to make sure that this part of the day brings the students together. But, how are you going to design content that competes with Twitter and Facebook feeds? Well, you aren’t. Make sure that the wake up call is energetic and sets the tone for the rest of the day. It can be followed by the pledge of allegiance and a thought for the day. This section can be taken over by someone from the student council as they have a closer bond with their peers. Follow this with a quick update on the latest campus news. Keep this short and simple. If there are any specifics that need to be communicated, you can communicate them to the teachers who will relay it to their students. Then come to the announcements of birthdays, specials on the lunch menu, and maybe even a weather report. You could also include a brief mention of major events happening in your district or city or even a national level if it is important. Students are not reporting on ongoing news stories. They will produce a section on what happened the day before. They should spend their time doing research and come up with an opinion piece, it is a great way to engage all the other students in a debate. The news item is no longer just text on their screen that the listeners scroll through. Their peers just produced a section on it that they watched with their classmates. The proximity and shared experience alone is enough to get them more interested. Over time, you can give the responsibility of producing the section to different classes and watch them trying to one up each other and do it better. You must encourage your students to be a more active part of their local community. Not only will they come into contact with positive role models, they will also start seeing the world around them in a different way. 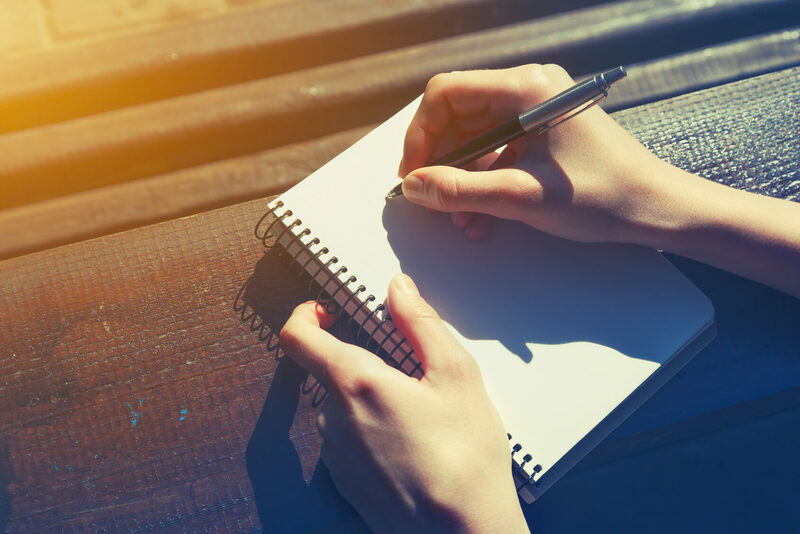 Plus, making your students hunt for local stories gives them a chance to acquire new skills and develop more self-confidence, which will definitely reflect in their mental health and behavior with peers. Developing news stories based on first principles teaches your students the ﻿﻿﻿basics﻿﻿﻿ of journalism as well to a certain extent. Almost every student in school is good at something. There is always the kid who is the first to solve the tricky physics problem, the ones who are really good at math, the athletes, the dancers, acrobats, musicians and a lot more. Imagine how good the morning announcement can be if you give them a shot to talk about what they are good at and explain recent developments in their field to their peers or even perform for them. On that score, you can also have a sports news coverage section where members of the high school football or basketball team can cover the latest season. Have your students organize a debate on a national/international issue once every week. A senior member of the faculty can coordinate the entire session, but don’t force the students to participate. They are a great forum to give your students a chance to develop a concrete understanding of what is happening in the world around them, and also an excellent way to get them to appreciate differing points of view on the subject. You can also have guest speakers once every week and have someone from the student body interview them to train them on journalistic principles. It will also come in very handy when they are preparing to apply for college. How does a morning announcement-script look like? 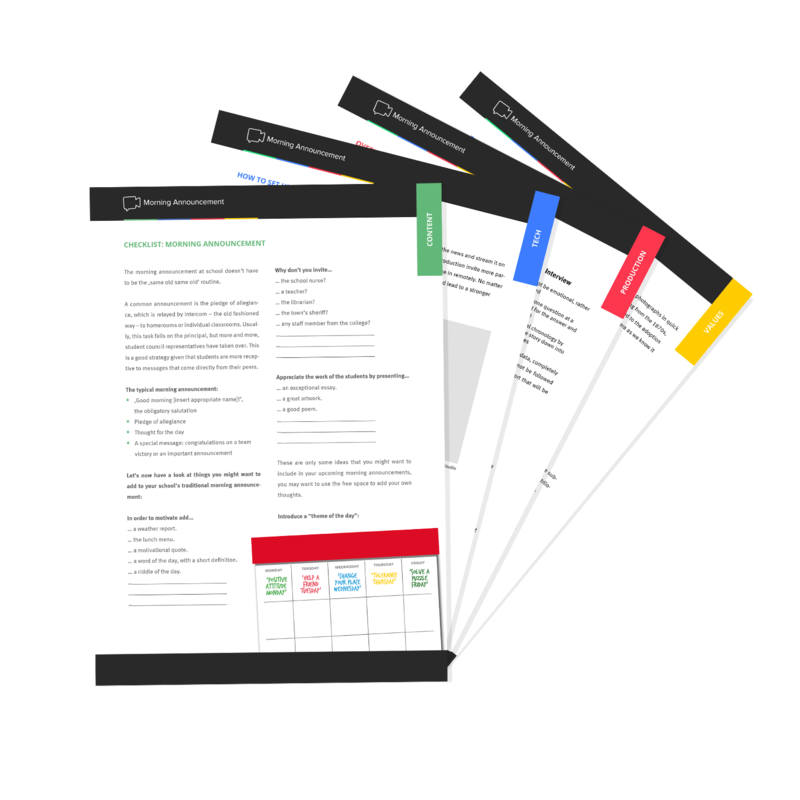 Have look at our sample script and use it as a cheat sheet for you and your students! The language and tone of the script is just as important as the content. You cannot deliver what you have to say in a cut and dry language, especially not when students are used to consuming memes, tweets and comics on the internet on a daily basis. You can have a routine, but you need to be flexible enough to allow for variations on it. The language and tone needs to appeal to the entire student population, ranging from angst ridden teenagers to prepubescents. Go with something that imparts a sense of unity and makes everyone feel invited. Imagine how you would treat them if theyare visiting your home for the first time and you will have a fair idea of what we mean. Get the funny students to participate. They have great rapport with their peers and can help them inject a liberal dose of humor into the material. Not only will it give the audience something to look forward to every day, but it will also keen them engaged throughout. Wrapping the announcements well is just as important as starting them well. You can get a bit creative with this. Have the cheerleading team or the school band do a little performance. It will lift up the spirits of the students and set the right tone for the rest of the day. And who does not like performing in front of the camera, right? Last, but not the least, the production values of the morning announcements have to be immaculate. 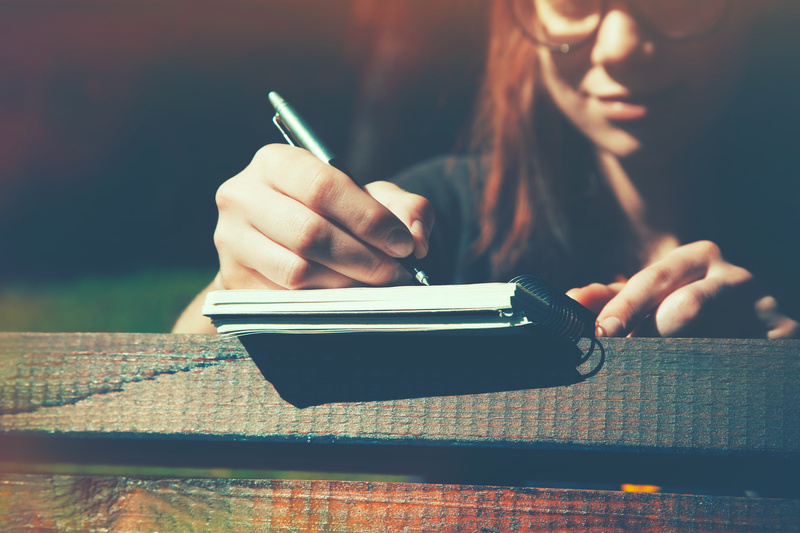 To rake in good stories for the morning news, you need to recruit some young journalists. These students obviously have no experience with journalism, so it’s going to be up to you to train them. First things first, train these students to identify newsworthy stories. Make sure they are recent and interesting to everyone. Guide them in identifying rare and unpredictable events and help them analyze how these events could possibly pan out. This can help students learn logical deductions and understand the sometimes complex consequences of certain actions. A simple way of getting them to understand this is by teaching them how professional journalists work. They need to know that there are different forms of reporting. These can include news stories, interviews, reports, etc. News stories are easy and all the students have to do is read the morning newspaper or watch the news. This will help them remain in touch with current events. Reports of incidents and events can also be collected the same way. Students can report interviews from the news or conduct them on their own. 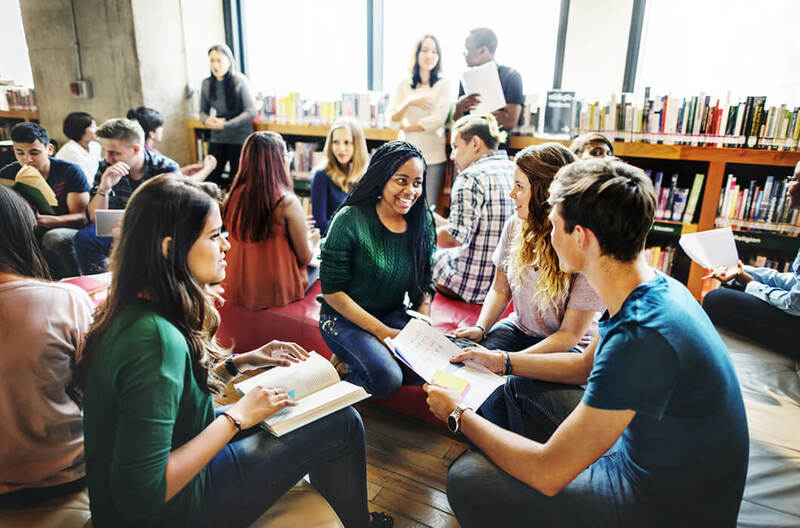 They could interview local community leaders or representatives, helping other students gain insight on their lives, jobs, and responsibilities. How to conduct an interview? 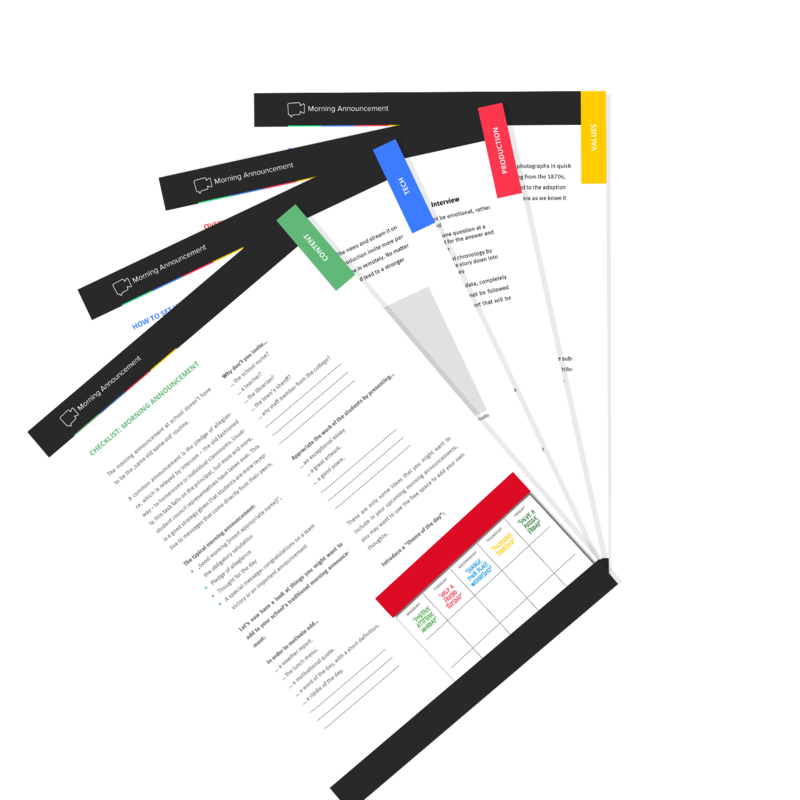 Have look at our handout and use it as a cheat sheet for you and your students! A good journalist should have excellent research skills, and this is what the students should learn. They need to identify the right sources for news and information, make sure they are reliable, and conduct some additional research on these events. During the announcements, they can include brief mentions of the events’ history and their possible future outcomes. A good journalist should also be able to proofread, edit, and file stories in a particular order. The students in charge of the morning announcements should also be able to manage these tasks. A clean, accurate list of morning announcements is what every school needs. The best way to create a professional morning announcement is by taking some tips from news channels. Watch the news anchors’ body language and how they present the news. Typically, they transition from breaking news or the most important news stories to simpler and more trivial ones often referred to as ‘soft news’. This is a good pattern to follow and helps you make sure that your students are paying attention to the most important news before they let their minds wander. Next, the students need to learn how to conduct interviews. They will need to prepare a set of questions to ask their guest, and remember that each of these sets differ for each guest. How to conduct a good interview? Good interviews are equal parts art and science, but there are a few basic principles your students can follow to get them right. Have a conversation with the guest. Forget about the questions you have prepared and just have anopen and comfortable conversation. If you don’t want to avoid getting stuck, make sure that your research is so thorough that you do not have to look at the questions. Know the interviewee, the issues and what the audience wants to know. Have a theme but don’t stick to it. If the conversation is going in a direction you did not expect, let it go there. You do not want to force things as it kills the interest of the audience. Start with open ended questions to make the interviewee feel comfortable and starttalking. Once you get going, you can ask the more specific questions you have in mind. Avoid from saying things like “ahhh” and “hmmm”. It might sound natural in everyday talk, but not in a studio setting. Not only does it sound awkward, it also looks like you are trying to talk over the interviewee. Make sure that your body language is warm and inviting. Lean towards the interviewer a bit and maintain eye contact in a non-threatening way. That will encourage them to open up and keep talking. If there comes a point where you want to break off and talk about something else, you can break eye contact for while. These are simple tips that are tried and tested. Now, the only thing you need to do is make sure that you have all the hardware to make the production stand out. Learn more about the technical requirements in our bundle! It takes just a little time, investment and training to set up your own studio for morning announcements, and the returns are priceless. For starters, it will give your morning announcements a professional look. Your students will also be interested in giving it their all. The more responsibility they take, the more it will reflect in their academic performance. Parents can also stream in remotely and stay updated with what is happening in the school. So, let’s get down to it. What kind of gear do you need? Based on the projection system you have in place, you need to decide what kind of cameras you want. A couple of good DSLRs should be able to do the job. Check the resolution on the equipment though. If you are going to use a big screen for the projections, then you need to make sure that the cameras have full HD capabilities. Or else, the video will look blurry and all the hard work the students put in will get buried in a misty haze. Depending on the space you have, you need to zero in on the lenses for the camera. If you have a relatively tight space and want to make it look bigger, then wide angle lenses are the way to go. If you more or less want to see what the human eye sees, then a 50mm lens is the best shot. On the other hand, if the space is too large and unwieldy, and if the background is too far away from the foreground, then you need to go for a telephoto lens that will flatten the space and make everything look closer together. Setting up lights for a morning announcement recording studio is not as complicated as you think. You need a back light, a key light and a fill light. The key light should be placed in front of the host and the guest and the back light is used to light up the background. Fill light are placed on either side of the key light to soften the look and make the lighting look easy on the eyes. These light fixtures may have reflective umbrellas, soft boxes, and mounted bulbs, so make sure your students are careful with them. To find out more, go here. 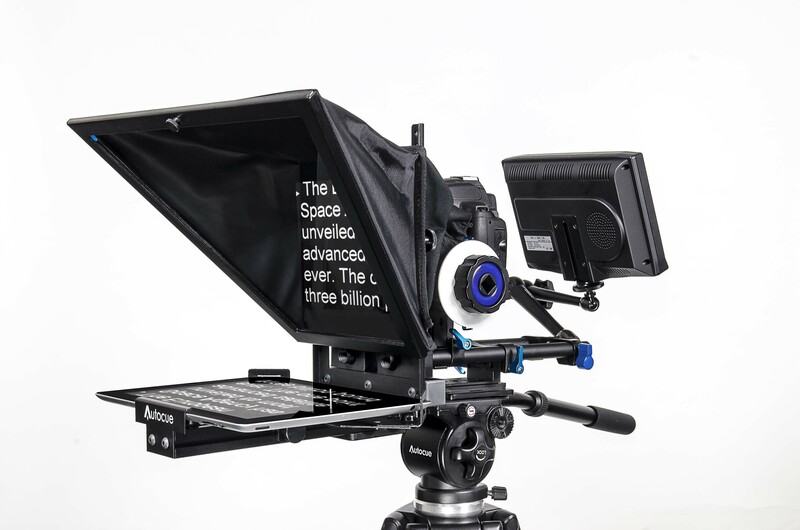 A teleprompter is a relatively inexpensive piece of equipment and a must have for any in-studio production. With a little training, your students can learn to use it professionally and it works wonders for the production as the host gets to maintain eye contact with the audience. Now, it is important to get this one right. There are a lot of microphones available in the market and condenser microphones are commonly used for recording sessions. However, they might not be the right choice for a TV-style production as they tend to pick up a lot of the ambient sound, which is not what you want when there are production staff working in the corners. Dynamic microphones are a better fit as they tend to pick up the most proximal sound, which is better for a busy studio. You also need to mic it properly to make sure that it does not sound too breathy,bass-y or far off. A green screen is an indispensable element, especially if your students are going to do a weather report or use graphics. 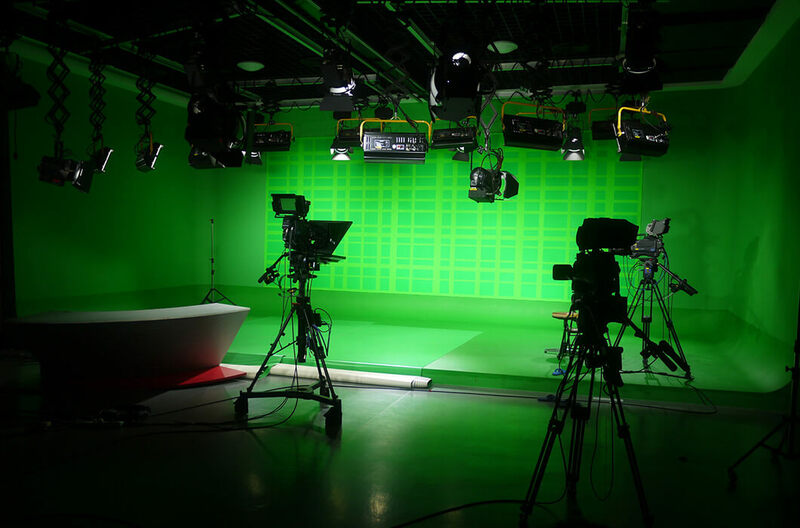 Chroma key paper should do the job, but make sure that you avoid the common green screen mistakes. Once everything is set up, do not expect your students to become stars overnight. It will take some training, fumbling and good natured encouragement from their peers and staff till they get it right. 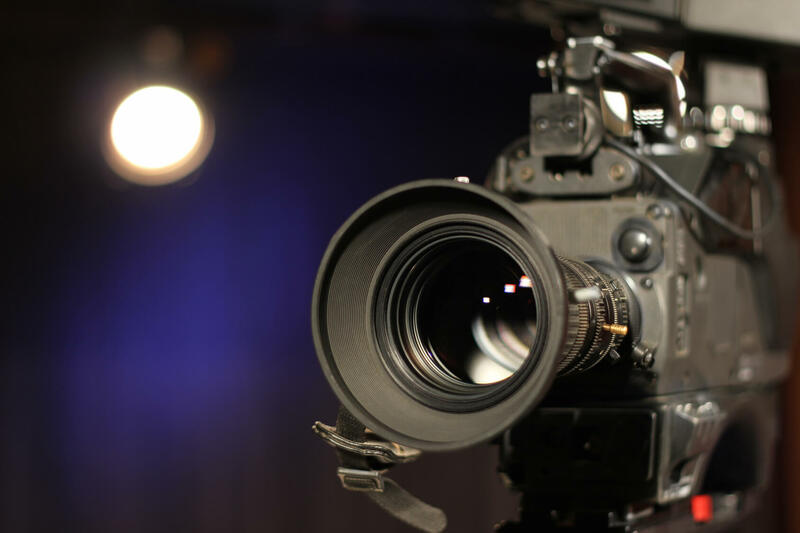 Make sure you pick students who have the poise and flare for being on camera. They will usually learn the ropes pretty quickly and become better at presenting. During post production and editing for non-live broadcasts, you could involve the more tech-savvy students who would likely be more than willing to help. All of this put together will create a more personal announcement that is full of creativity and life. It is a great way to modernize and usher this age old routine into the 21st century. Although information can be easily found in the news, morning announcements are special and important to schools. This is their way of creating solidarity among their students and building a community within themselves. Without morning announcements, days at school would just seem so incomplete and perhaps feel oddly unfulfilling, which is why it is always best to start your days with them.